This entry was posted on February 1, 2019 at 10:46 am	and is filed under Dolly Daily. Tagged: Barbie Calendar, barbie sketch, fahsion illustration barbie. You can follow any responses to this entry through the RSS 2.0 feed. You can leave a response, or trackback from your own site. Thank you for your February greetings, Helen. 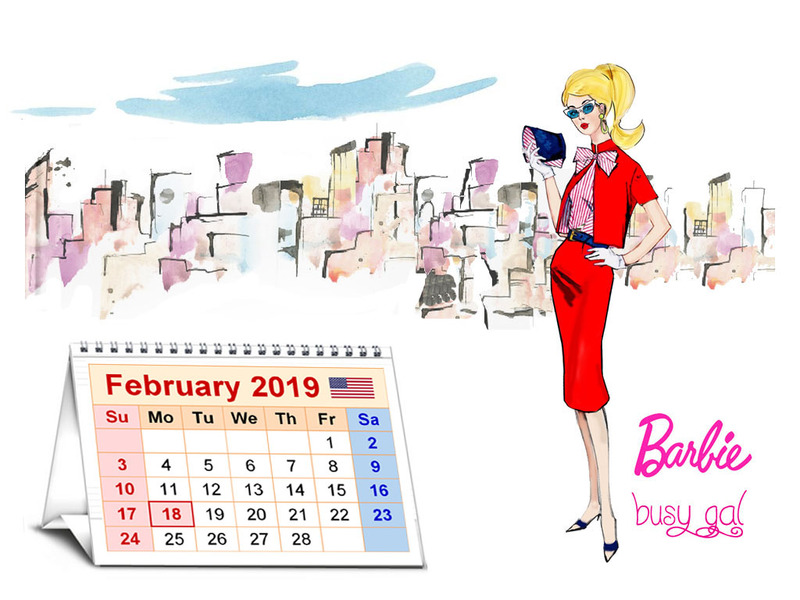 Like you, we’ve experienced the polar vortex…but, it’s warming up and Barbie looks great in her “Busy Gal” outfit. Keep warm, Becky. “Polar Vortex” will be soon over.